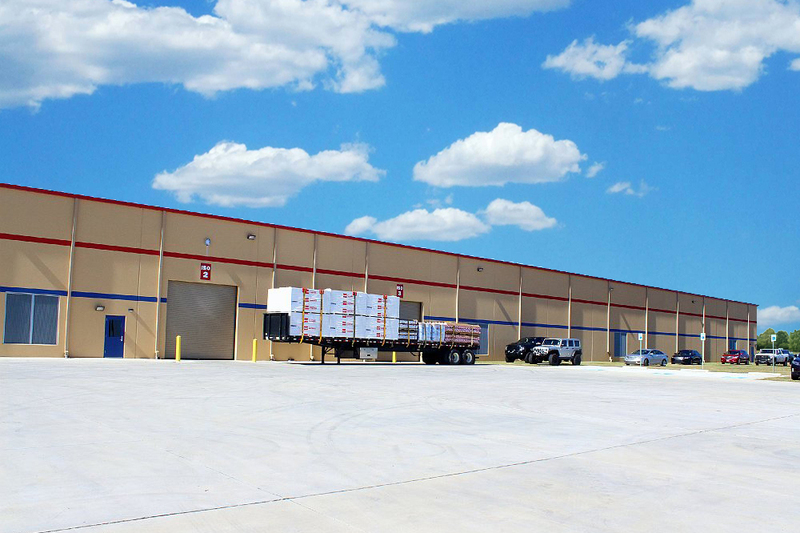 Callahan & Freeman’s design for a 200,000 SF poly-ISO insulation board manufacturing facility incorporates 50,000 SF of production space which houses an assembly line for creating and packaging the insulation boards. The remainder of the 150,000 SF is configured for warehousing of the products and distribution through the four loading docks. The building’s foundation consists of custom designed foundation pads to support the production equipment. A component of the facility is a large, six tank farm which provides storage and containment for the associated manufacturing products. Significant expansion and enhancement of an adjacent rail yard to support the facility was also in the scope of work.